The Liebherr under counter T1404 Fridge with freezer box is rated A+ for energy efficiency, and is ideal for narrow spaces. Its reversible door hinges, which come positioned on the right, make it easier than ever to place the appliance wherever you want it. It has 2 glass shelves, a full width transparent vegetable bin, 2 full size storage racks for cans and a freezer compartment for all your storage requirements. Ergonomically designed, the extra deep transparent vegetable compartments are easy to clean and provide ample storage for fruit and vegetables. The slimline door handle is aesthetically pleasing and ergonomically designed for ease of opening. 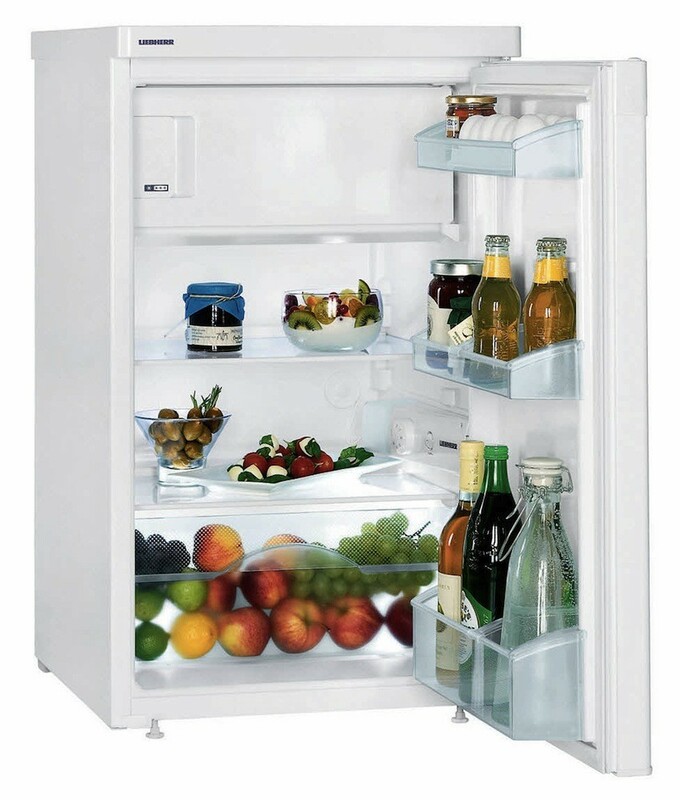 It also features detachable top, egg tray, CoolPlus in the freezer compartment, interior light, recessed handles and height adjustable feet.